Occasionally if I have an hour or two free in the afternoon I pop to one or other of my local lakes for a spot of carp fishing. I really enjoy fishing on the top with bread or dog biscuits and I'm happy to catch anything. 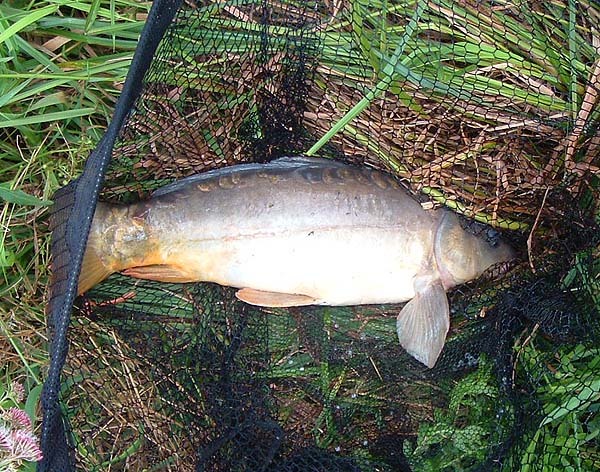 This week I only spent an hour carping. I cut half a small loaf (35 p's worth) into big cubes popped it in a bag and drove to the lake. It was hot and humid and when I got to the water there were one or two (mostly retired blokes) people already fishing with floats or legered baits. I avoided disturbing any of the other anglers and made my way to a snaggy swim overhung by trees. On went a piece of crust about the size of a matchbox and together with a couple of free offerings I flicked it in under the tree. After no more than five minutes I heard a slurp and one of the freebies disappeared - I was all agog. 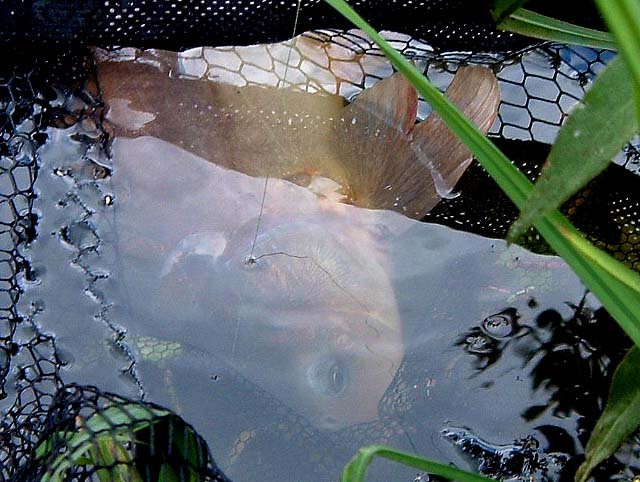 Sure enough, a couple of minutes later there was another slurp and my rod tip was yanked round. A good carp in the first five minutes I thought I was in for an excellent session but the three places I tried over the following hour did not produce so much as a ripple - that's fishing!